Looking for Trampolines Reviews and Buyer’s Guide? 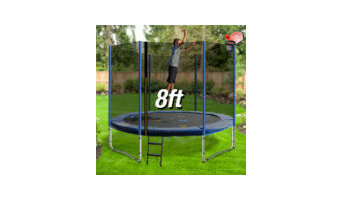 Best Trampoline Reviews is a comparison website that helps you decide the best trampoline or rebounder for your family. All of our reviews have a rating system to help make your decision easier. We also have a section on all the cool trampoline accessories available, whether it a hoop for basketball or holder for your cell phone. Come and take a look at our reviews. This will help you make the right decision on the best trampoline for your needs, whether its a large trampoline for a big family or a rebounder for your daily exercise. Come and check out our trampoline reviews. GRASSify Artificial Grass in London and surrounding areas along with our more recent office in Marbella offer you the finest brand of artificial grass. We offer both supply only or full professional installations covering all applications from gardens, terraces, patios and balconies to schools, play areas, sports facilities and public sector works. You are in good hands with the GRASSify Artificial Grass London team. 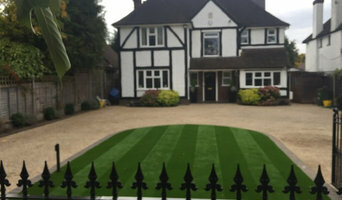 We stock all of the items required for fast delivery or collection in Wimbledon SW19 When installing our teams use proven and tested methods to leave you with a professional artificial grass installation that is designed, built and installed to give you up to 10-15 years of hassle free outdoor fun. 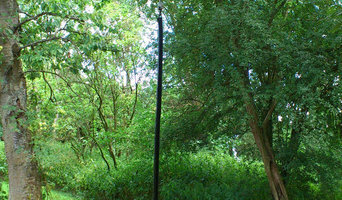 UK's biggest Zip Wire supplier selling both to consumers and trade. We provide the best pricing in UK GUARANTEED. We can advise on all aspects of Zip Wires and carry in stock for NEXT DAY delivery the largest range of equipment, from small garden zip wires to commercial versions as you will have seen in your local park playground. Absolute Lifestyle Travel is a company you can count on for the best private jet charter services. We have been in the industry for quite some time now and have established long-standing partnerships with major airlines. Furthermore, we have our aircraft, ready to serve your travel needs at any time. Discover luxury travel in a new way and let us show you the beauty of Sri Lanka, Mauritius or European hotspots such as France, Venice or Bruges. You will be more than impressed with what our company has to offer. Give us a call at 020 3196 0186 and see what we can do for you. At Pierre Balesi Healing we wish to help manifest healing in one’s life. Reiki doesn’t heal in itself instead it gives you the energy you need to do the healing yourself .We provide Reiki Healing, Healing, Crystal Healing. We are named professional in market having many years of experience. We feel pride in our work and providing sense of calmness, peace and relaxation to our customers. We offer free advices , quotes and estimate. To get in touch with us you can call us at: 7568368482. To know more about us you can visit our website. Feel free to get in touch. We look forward to welcome you to Pierre Balesi Healing. Welcome to Personal Trainer Clapham Junction London - Ensuring you succeed! At Personal Trainer Clapham Junction London located at 34 St John's Hill, London SW11 1SA - our focus is on you! From our first FREE consultation with you where we do a great deal of listening - and answer any questions you may have! to really appreciating where you want to go (your target/s).Once you have conveyed your goal/s we begin the partnership that will support you even if and when times get a little tough - to be successful. Remember we provide constant mentorship to help keep your motivation levels super high. We work with you to scape-out an agreed road map of where you are now, your goal sets & map out the strategy that will ensure you succeed! Looking for change in life ? looking for life coach in London ? Are you lost your track? We all had the resources inside us to make the changes we so longed for.At NINA MADDEN LTD we helps people in bringing successful change in their life . We helps people in finding the purpose and meaning of life.We helps people in finding their track that helps them in living a happy and successful life.We remove darkness of your life.For more information or appointment you can go through their website. For any advice you can feel free to contact us at 7906255529. We will be happy to serve you. HuubieBuild founder Paul Prentice is a polymath of play with over 30 years’ experience in creative design and construction. His vast wealth of knowledge – combined with his background in residential and commercial property project management, boat building, cabinet making, and finishing works – means he knows how to design and build quality that lasts. But it was when he started letting his imagination run riot and developed his Huubie style that he discovered his true vocation in life. His passion for the positive power of inclusive play for families and communities inspires our work, and our commitment to deliver a first-rate service and the best adventures we possibly can with every bespoke HuubieBuild. Our Vision: We’re proud of what we have achieved with HuubieBuild – but it’s just the beginning! Our aim is to make the world a happier place with a permanent site designed with schools, community groups and companies in mind, to stay and experience the benefits of natural, free, outdoor play, while experiencing the wow of HuubieBuild and the wonderment of nature, meandering along eco trails and immersing yourselves in tailor-made workshops. WEBSITE : <a rel="nofollow" target="_blank" href="http://join.fifutures.com">http://join.fifutures.com</a> ADDRESS : c/o S Halls L21, 1 Undershaft, London EC3P 3DQ Ph NO : +44 7092 02 12 12 Description : Buy and Sell Shares in the World’s Top Footballers on the World’s first Football Stockmarket, Football INDEX. Build your Portfolio, Earn Dividends, Sell at a Profit. Referee Kit Suppliers to the Premier League, Home of Touchline Powerflags and Suppliers of Fox 40 Whistles. For a more grown-up play area, a tennis court, netball court, basketball court, or any other sports court, is a great way of utilising outdoor space to exercise, practice your hobby or start learning a new sport (in the privacy of your own home!). Tennis court construction in Grange Hill, Essex doesn’t have to be as cumbersome as it sounds when you hire a sports court designer. They will handle all of the design, logistics and tennis court installation, liaising with you every step of the way, in order to put together your dream outdoor sports area. Why would you need to hire a Grange Hill, Essex sports court specialist? Tennis court installation can be very technical; there are many materials, measurements, specifications and technology to consider and it is not a project to take on lightly. The same goes for other sports courts such as netball and basketball courts, football pitches and golf courses, but by hiring a Grange Hill, Essex professional who is experienced in sports court construction, you’ll feel much more confident when building your outdoor sports area. Hiring a Grange Hill, Essex tennis court construction or other sports court specialist who has worked on similar projects to yours is always important, but with sports court builds it is especially essential as it means the professional will be familiar with national regulations, standards and rules for tennis court installations and other sports fields. If you want to give your children a place to play that rivals the local playground, then you can talk to Grange Hill, Essex playground designers and contractors who can provide you with playground equipment and will install a fantastic playground design catered to your children’s requirements and preferences. A playground designed by a professional will be safe but fun, and will usually outrival any shop-bought climbing frame or higgledy-piggledy DIY play area. Why should I use a Grange Hill, Essex professional to build my treehouse? What questions should I ask a Grange Hill, Essex sports court or outdoor play equipment designer? Narrow your search in the Professionals section of the website to Grange Hill, Essex sports courts or outdoor play equipment. You can also look through photos to find examples of Grange Hill, Essex tennis court constructions, playground designs, treehouses and climbing frames that you like, then contact the contractor who worked on them.